I find myself spending hours at the computer downloading, coping and pasting information into “documents” to refer to later. It seems that there is so much information on the internet and I want it all! After I had all these wonderful documents saved to my computer I had a massive computer failure and lost it all. I was young (in my mind) and dumb and did not have any of it saved on a flash drive or printed out. This made me wonder, “What if we had an EMP or an extended power failure, how would I ever remember how to make homemade washing powder?” That is when I decided to make a Prepper Notebook. This Prepper Notebook is different from your library of book you have been collecting. Every seasoned prepper I know has a collection of books on gardening, wilderness survival, cooking, sewing, animal husbandry, plant identification, wild edibles, and nutrition and so on. In the notebook you keep quick reference material and topics of interest that isn’t book length or might only be found in article found on the internet in amazing blogs like the one you are reading now. To start off with you will need a good 4 inch heavy duty 3 ring binder, plastic paper insert clear sheets protectors and a pack of dividers with tabs. If you can find these items on sale I would buy several because these notebooks will fill up fast. Next take your tabs and mark the following titles on them. You can add to this basic list later, but these are the ones you will want to start with. By having these tabs already in your notebook you will find yourself searching the internet for great articles to place in your notebook. As your notebook grows you will find yourself adding lots of additional tabs. When the power goes out and you have to adjust to life without Google you will be happy that you printed out your favorite recipes using all those jars of food you canned over the years. Have fun and get searching! You should consider supplying people with the files so we can print them out and be as resourceful as you! I’ve been trying to find good prepper PDF’s, but have not found much in the way of homesteading, I’d love to be able to download what you have. Greg … great idea …. now if I only had the time to do that. That might be a project I work on at a later date. I started with a 2 inch binder and out grew it pretty quickly. I also have a section dedicated to my garden, seeds, planting dates, etc. Since it seems like I always have to get on the internet to research it…every year. I think the DIY section is so important, I know in a SHTF situation, I’ll forget how to spell my name without instructions! 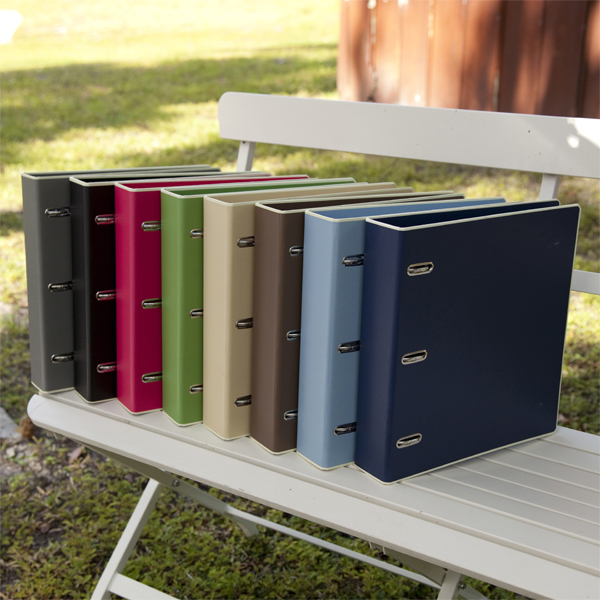 You are right, the binder does fill up fast. As people builder their books the # of tabs will also grow. Thanks for your comment. I love the suggestion of adding the gardening information – especially since I used heirloom seeds almost exclusively. Thanks for the input. I get my seeds from http://www.rareseeds.com I also use mostly heirloom seeds. I love this idea. I had no idea you were on wordpress. I’ll be watching for more info. I have only had my blog really going for about a month and I am just learning how to use it. I have lots of ideas to write about, now if I can just find the time and words. Thanks for reading! I have around 234 items on google drive I am willing to share if any one wants them. Wow! I am kinda new at this so i would love to check them out too! He tried to post them here, but I could not get any of them to open. I am new to this too and would love and appreciate any help from you veteran preppers. My oldes sister has also been prepping and has dry canned some fresh vegetables that she had dehydrated. Anyone have some ideas for that? Thanks for your comments. Check out my Facebook “Palmetto Prepper” for additional information. I am very new to prepping. I am planting a garden for the first time in about 20 yrs, and trying to begin the process of stockpiling food. I am disabled and on a VERY limited budget so any help, ideas, suggestions or just encouragement would be wonderful. Thanks, nice place to start, affordable and calming. I guess thats important to me. I will put your ideas in plan form and add them to my list of things to look for. Now if only I could get a new back so I could do some of this other stuff ah well keep up the good work. How does one get to your Google Fikes Kenny? I would be interested in seeing them too. I tried to open them … not sure if they just are not combatable with my computer. I approved them…. hope others can get them to work. Thanks! Thanks … I will check it out in the morning. They opened fine for me. I am glad they worked for you. I hope there is some good information in them that you can use. My computer must not like them because I can not get them to up. Thanks for checking out my blog and come back often. Here’s a tip. See that store going out of business? That lawyer’s office remodeling? Stop by and ask them if they have any old three ring binders they are throwing away. A cousin of mine picked up a pile of 3 ring binders from a lawyers office a while back. And not the tiny ones either. Most were the 4″ – 6″ heavy duty variety. That is a great idea …. thanks! I really need and want to make one of these! Thanks so much for all the links. I have binders … lots of them. I’m not relying on anything electric. My thought is that the information in that binder will not be just for me, but for sharing with others around me, when they are running in circles not knowing where to start. The binders are full of information that will be great for others that have talents I do not have, but they need where to start. What I don’t have in skill, I will have in helpful information for others. These binders will be good as gold for getting through a SHTF situation (of all kinds & sized), if the electric is out. I agree the binders will be worth there wieght in gold if/when the SHTF. I have a Kindle and use SendToKindle to format the article and send it to my Kindle. I also have a solar charger for the Kindle so I can be sure of having access to the info when I need it. Beats having to carry all those notebooks when the SHTF. But I like your idea none the less! Thanks for sharing it. I have a Kindle too .. that is a great idea for everyday use, but I would also have a paper copy … if we have an EMP then you Kindle could be toast. Problem is, you are still relying on electricity. We can prepare for an EMP event, that will knock out electric grid, by placing our electronics in a faraday cage. But the problem, even with doing that, is we have never (in recent history) had a large EMP event. So, we are still not 100%-exactly-sure that the faraday protection will even work. We’re *thinking* it will work.So, realistically, you *could* loose your kindle files. It’s best to have old-fashioned ‘hard copies’. Just sayin’ ….